Tooth decay, also known as a cavity, or cavities, occurs when we eat sugary and sticky foods, like chocolates, bacteria living in our mouth mouths break down the carbohydrates and produce acids that dissolve minerals in our tooth enamel. The longer the sugar is in contact with teeth, the more damage bacteria can cause. Untreated tooth decay may cause infection, extreme pain and the loss of tooth. 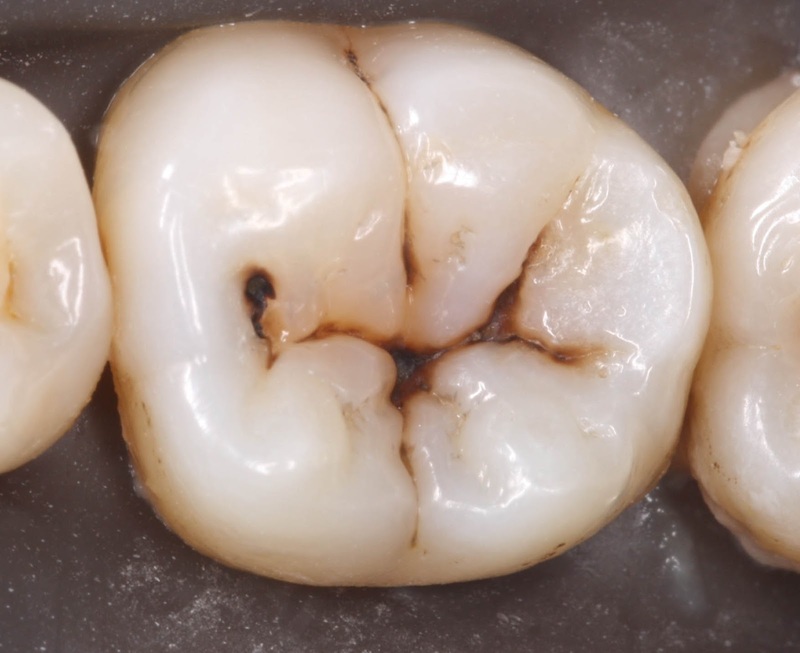 The decay process begins with the unnoticeable damage to the enamel of your teeth and then steadily progresses to deeper layers of the tooth, eventually leading to the pulp. The pulp of your teeth contains highly-sensitive blood vessels and nerves. Once it damaged it require root canal treatment. You should brush your teeth at least twice a day – morning and night, but it is ideal to brush after every meal. And remember to brush for at least three minutes. Improper oral hygiene will ultimately lead to tooth decay. Tooth decay due to poor oral hygiene is avoidable. Watch video of brushing technique. Individuals with enamel issues and who have deep crevices in their teeth are highly-likely to have problems with tooth decay. This is because the deep crevices allow bacteria and plaque easy access to grow. Dental pit and fissure sealants are typically used to prevent tooth decay in patients with deep tooth pit and fissures. A dental sealant is only safe for uninfected teeth for the prevention of tooth decay. Avoiding foods that are high in sugar, high in carbohydrates and high in acid is the best way to avoid tooth decay due to improper nutrition. Eating a healthy diet, which includes healthy foods like apple and carrots and the avoidance of sugary acidic drinks is the way to go. Acidic drinks and foods lower the pH level of the mouth so consuming those causes the teeth to demineralise. Drinks low in pH levels that cause dental erosion include fruit juices, sports drinks, wine, beer and carbonated drinks. Orange and apple juices are common culprits among fruit juices. Carbonated drinks such as colas are also very acidic. While exposure to acidic foods, such as lemons, oranges and grapefruits don’t directly cause cavities, it weakens the enamel on your teeth, which can weaken teeth and make them more prone to decay. Due to the fact that saliva helps inhibit the growth of plaque, persons with dry mouth conditions will more than likely have dental issues which lead to tooth decay. Dry mouth may be caused by prescription medications, it may be genetic, or it may be caused by medical conditions such as Diabetes. Radiation for cancer treatment is responsible for dry mouth syndrome. Many time people have issues with tooth decay due to genetically defective enamel and dentine, which are less resistant to dental decay. 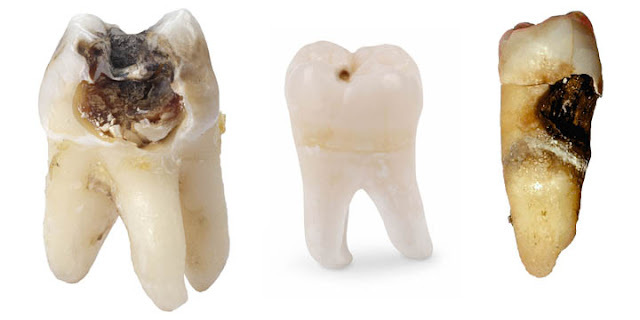 Pit and fissure, one of the causes of dental decay is also result by genetics. Dental caries can occur at any age. Children are more affected because of poor oral hygiene and sugary food like chocolate.